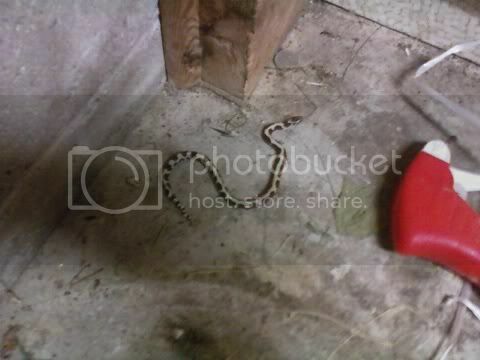 Here is what I consider to be a pretty and rare Eastern Milksnake...at least that's what it appears to me be with the low resolution cell phone pic that my brother-in-law sent me. He lives where I grew up in Southeast Michigan about an hour north of Detroit. I have only come across these handsome snakes once the entire time I lived in MI. Any second oppinions on the ID? He was under the impression that it was a massassauga rattler, but I was able to quickly convince him that it was definitely not and actually appeared to be a pretty rare find. Is this a semi-common pattern for Eastern Milks...I have not seen enough to know. Anyways I thought it was cool enough to share. Enjoy. I will try to get some more pics from him.